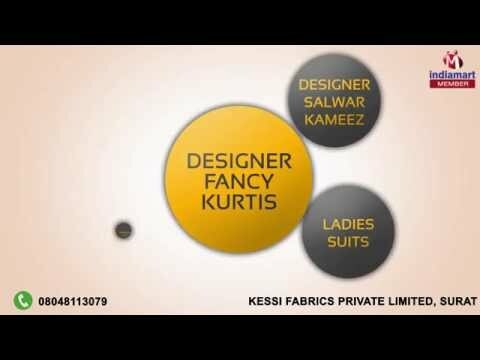 Kessi Fabrics Private Limited, are highly instrumental in manufacturing, supplying, exporting and wholesaling a vast collection of Sarees and Kurtis. Under our impeccable array of products we are offering Designer Fancy Kurtis, Designer Salwar Kameez and Fashionable Straight Suits. These offered products are manufactured by utilizing optimum quality fabric procured from the authentic suppliers of the industry. To suit the clients needs, we are offering these products in colors and patterns. Our offered products are highly acclaimed among the customers for their attractive features like new pattern and easy to wear. Our highly skilled professionals enable us to produce the offered products with effective production rate. Leveraging to our quality assured product range we have develop a huge client base across the nation.